Social media marketing has evolved. The third quarter of this year has witnessed a rise in social media campaigns in the country, with brands moving away from campaigns on individual networks to find more value in integrated campaigns on multiple networks. There is more faith on the medium and a readiness to experiment. Fortunately, budgets are bigger and supportive too, as can be seen in the campaigns. While the first quarter saw some cool campaigns in the social media space, the number and quality rose in the second quarter to give us a more exciting set of campaigns. Listed below is a random compilation of 31 of the most interesting social media campaigns of Quarter 3, 2013, with brands ranging from FMCG, apparel, automotive, travel, QSR to the film and television industry. Based on the philosophy that real strength of people comes from their ‘roots’ L’Oreal Paris India had launched the ‘Stay Rooted’ campaign for the promotions of its latest hairfall repair shampoo. Consumers were encouraged to connect with their roots by taking the time out to thank and appreciate the people, things and places that have influenced them in their past. Facebook fans were asked to share a picture of themselves with that special person and give reasons as to why they would like to thank that person. The best messages were customised into a cover photo. Read more about the campaign here. 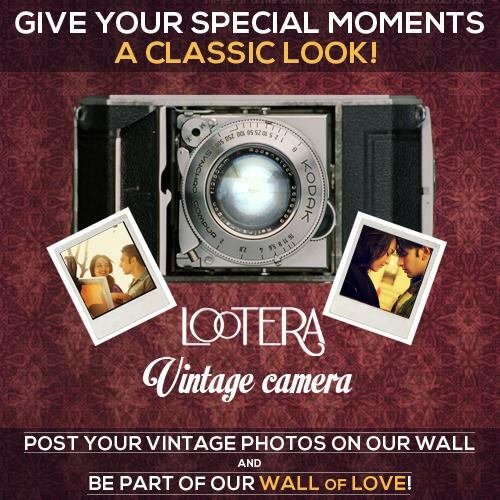 The movie promotions for Vikramaditya Motwane’s romance drama film ‘Lootera’ set in the year 1953, played on the magic of that period on social media. Fans could reserve their seats to watch the theatrical trailer through a Facebook app called Lootera Talkies. As radio was big in the 50’s, a Facebook app “Lootera Radio” designed like a radio enabled fans to listen to the film’s music by changing the frequency. Also, a ‘Vintage Camera’ Facebook app applied vintage filters to fans’ images. The interesting campaign also made use of Twitter contests to create buzz. Read more about the campaign here. For the launch of its new male grooming and styling range MPOWER, Philips India had teamed up with MTV for the MPowerPack challenge – a hunt to find the coolest gang in the country. Contestants had to upload videos onto a microsite enabled with a Facebook login where one could vote for their favourites. Interestingly, the grooming products were also weaved into the multi-stage tasks in the challenge. The most voted gang won an all-expenses paid trip to Ibiza. Read more about the campaign here. ITC Grand Chola, the social savvy luxury hotel, had launched ‘Glimpse of Paradise’ – a photo feature contest aimed at providing the online audience with a preview of what the hotel has to offer through community generated photography. One could submit their photographs onto a microsite through their Facebook or Twitter login and get their friends to like their submission. The best three selected by a jury won an all-expenses paid trip to the luxury hotel and a chance to capture its rich imagery. Read more about the campaign here. For the promotions of the newly upgraded Tata Nano, the affordable car by Tata Motors, the automaker targeted the youth with ‘Celebrate Awesomeness’ on social. 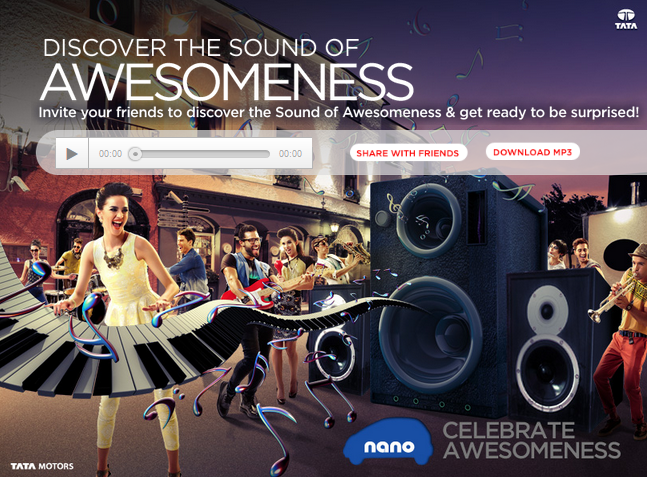 The campaign equated the awesome attitude of the young generation towards achieving their dreams with owning a Nano. Contests on Facebook and Twitter ensured maximum eyeballs for the ad film and increased awareness of the new variants. Read more about the campaign here. 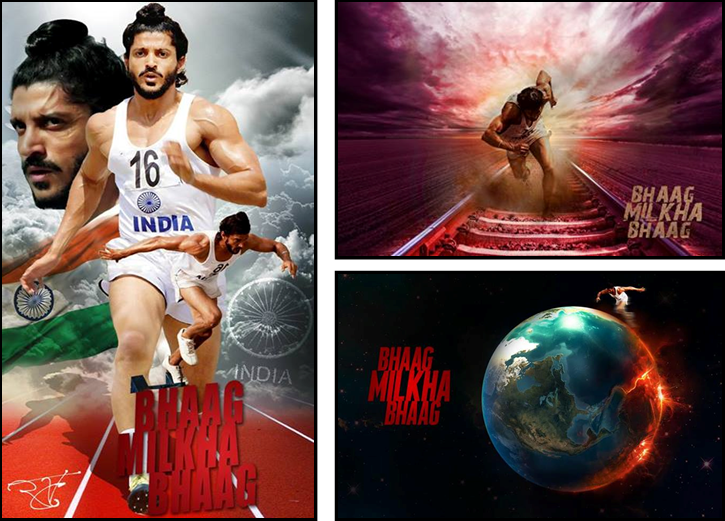 Bhaag Milkha Bhaag, the inspiring biographical sports film on Milkha Singh had started its promotions on social media well in advance by sharing teasers and facts about the athlete. A number of apps on Facebook helped bond fans with the movie: a first look club enabled fans to get exclusive content, Chase your dream enabled fans to share a realistic dream and the app would create customised cover photos for them, and fans could create their own posters in the Milkha fan art app. Read more about the campaign here. This time around, the Bournvita Quiz Contest, India’s longest running quiz show on television empowered viewers to play along in real time through a mobile app – India plays BQC live. Available for both Android and iOS , the app put up 10 questions with 30 seconds for answering, and one could get better scores with faster answers. An app on the Facebook page kept score of this mobile quiz. Contests and tagging friends on Twitter involved user participation and inculcating the spirit of quizzing. Read more about the campaign here. 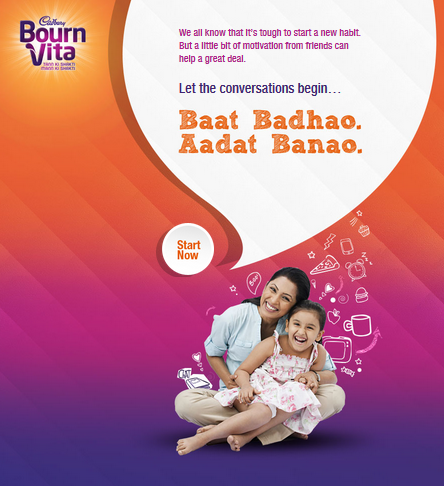 For the promotions of its chocolate flavoured health drink Bournvita, Cadbury India had launched the ‘Tayari jeet ki’ campaign that stresses on the importance of inculcating good habits in children as a preparation to win in life. A Facebook app enabled fans to kick off good habits with the help of friends, in addition to having an expert to answer your queries. On Twitter, the brand hosted contests around the hashtag #BVTGoodHabits, where users had to share good habits. Interestingly, these contests were also hosted by moms on Twitter. Read more about the campaign here. 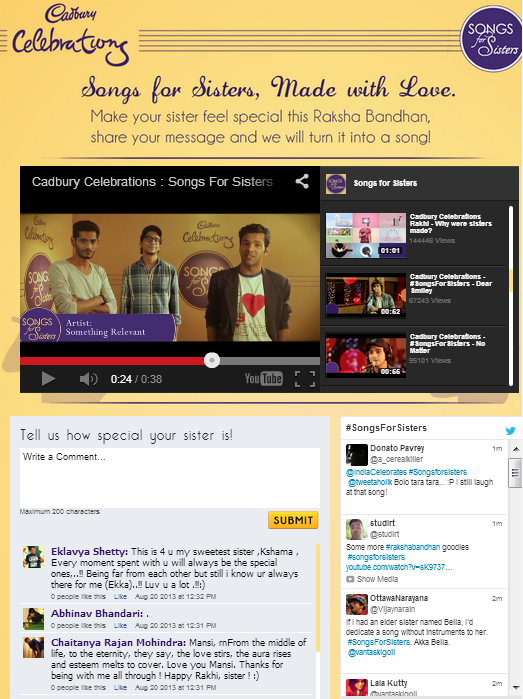 On the ocassion of RakshaBandhan festival this year, Cadbury Celebrations, a potpourri of Cadbury chocolates to be gifted on special occasions, had launched ‘SongsForSisters’ where brothers could share messages for their sisters on the brand’s social media platforms, and India’s leading bands then turned it into a song dedicated to her. A Facebook app was created for this, while the freshly created video songs were shared across social media platforms to make it a memorable experience for the fans. Read more about the campaign here. 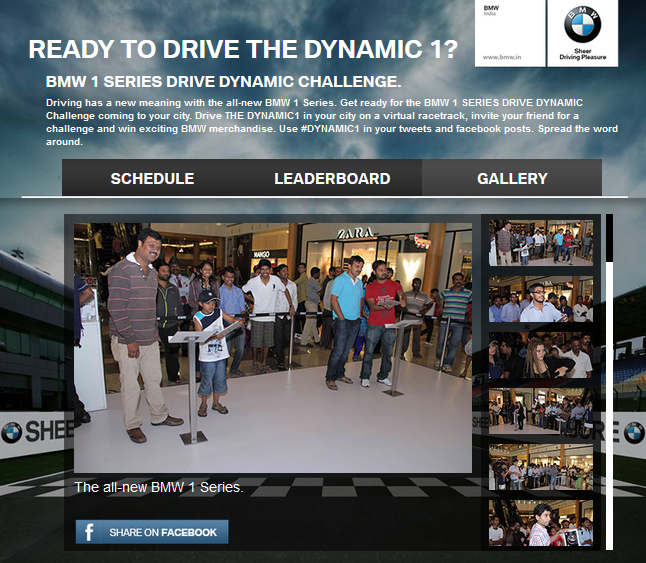 For the Dynamic BMW 1 Series, BMW India launched ‘Experience the Dynamic 1’ where fans could experience the BMW brand. 10 lucky ones were given the chance to go on an all expenses paid trip to Germany including an exclusive guided tour to BMW Welt and BMW Museum in Munich. Also, they got to be the first to drive the new car along with cricketer and BMW brand ambassador Sachin Tendulkar. A dedicated website was created for the same where fans had to answer questions, in addition to exciting offline drives. Read more about the campaign here. For International Tiger Day on July 29, Taj Safaris, a JV between the Taj group and &Beyond, that specialises in giving a unique experience of Indian jungles coupled with the legendary Taj service, launched #StriveForStripes – a campaign to bring together people who want to save the tiger in a rapidly tiger declining country. 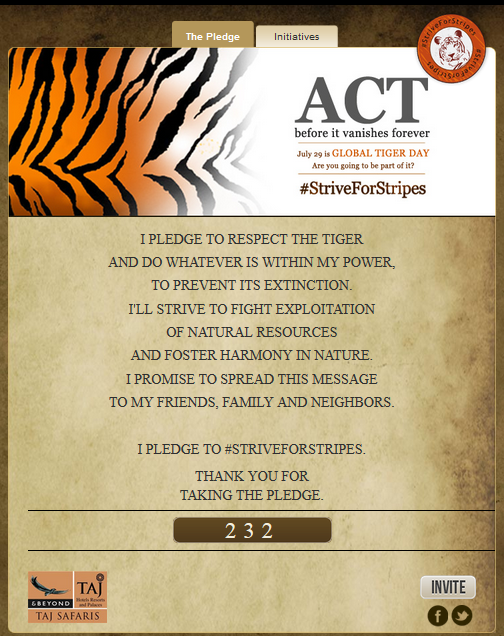 A simple Facebook app enabled fans to take pledges, while a Google Plus Hangout with naturalist and editor of Sanctuary Magazine, Bittu Sahgal was conducted to help fans identify with the cause of conservation. Read more about the campaign here. Lonely Planet Short Escapes series, a travel guide for city folks looking for a quick escape was launched quite innovatively on social media. The travel brand created a virtual train journey from Delhi to Mumbai and Bengaluru called ‘Escape Express’ where fans were not only enlightened about the cool getaways from each of the cities, but could also win prizes by answering questions with the help of the guide and earning miles. 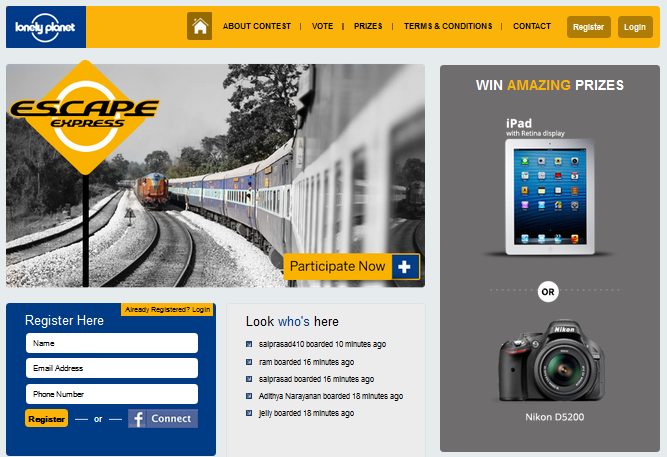 Twitter users were also encouraged to tweet with #EscapeExpress with contests around most creative tweet. Read more about the campaign here. For the launch of Pizza Hut’s 23% bigger pan pizza, the pizza brand launched an exciting social media campaign emphasizing the message that ‘size matters’, while giving away 23% discount vouchers for the same. 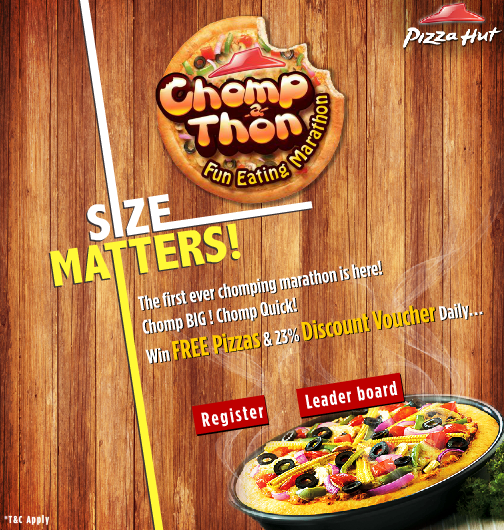 A pizza eating marathon ‘chomp-a-thon’ was hosted on a Facebook app where participants had to chomp away a virtual pizza in the quickest time possible. Twitter influencers were also roped in to create the buzz on Twitter, while users were encouraged to share why size matters in different areas of life. Read more about the campaign here. For the launch of its informal wear, Only Vimal, the textile division of Reliance Industries, designated August 23 as ‘No Tie Day’. 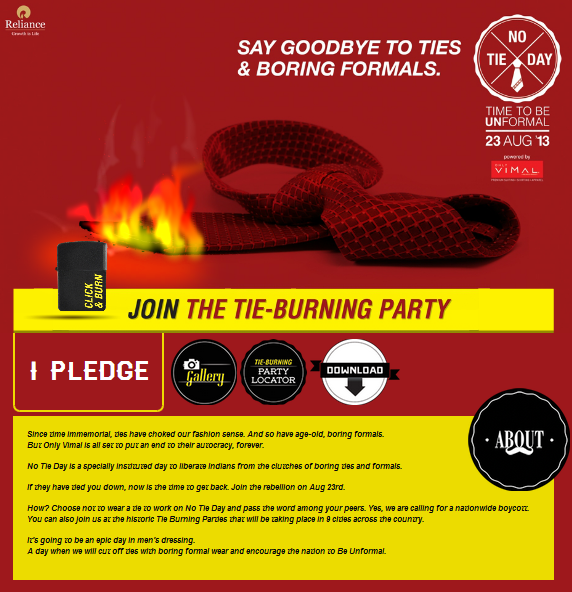 The brand called for a nationwide boycott of ties, as a mark of rebellion against boring ties and formals, while leveraging social media to create buzz for the day. This was also accompanied by a symbolic tie-burning event at various malls across 9 cities in the country. While a microsite captured all the action, fans were engaged through a Facebook contest where they had to share wicked obituaries celebrating the death of ties. Read more about the campaign here. Emphasizing on the ‘not so sweet’ side of the dark chocolate, the Fine Dark Cadbury Bournville had embarked on a journey to make the ‘dark’ appealing and the ‘sweet’ harmful. Twitter users were asked to share the obnoxiously sweet things around them using the hashtag #NotSoSweet; these would then be converted into a video by some of India’s leading stand-up comics, all within an hour. The campaign called ‘Tape a tweet’ created some amazing funny videos from users’ tweets that can be savoured on its YouTube channel. Read more about the campaign here. Oreo India’s Daily Dunks that were created by the cookie brand to capture the day’s most happening event, had launched Dunkathon to create special dunks from their fans’ memorable moments. 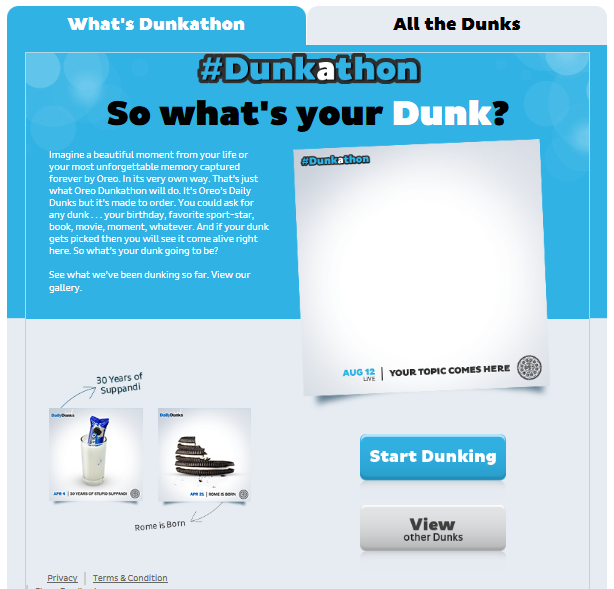 A Facebook app enabled fans to create their own customized Oreo dunks, while Twitter was leveraged to create buzz on #Dunkathon. Apart from positive branding, Dunkathon also helped Oreo India bond better through co-creation with its online community. Read more about the campaign here. Woodland – the footwear and outdoor gear brand that follows a tradition of promoting outdoor and adventure sports worldwide – ran a Facebook hunt for the ‘Woodland Extreme Explorer’ through the ‘Adventurer Wanted’ contest . Applicants needed to share their pictures/videos depicting their adventurous side on a cool Facebook app, where these were put up for voting. The Extreme Explorer wins an all-expenses paid trip to explore the planet. Twitter users were asked to share their idea of extreme adventures with hashtag #AdventurerWanted. Read more about the campaign here. 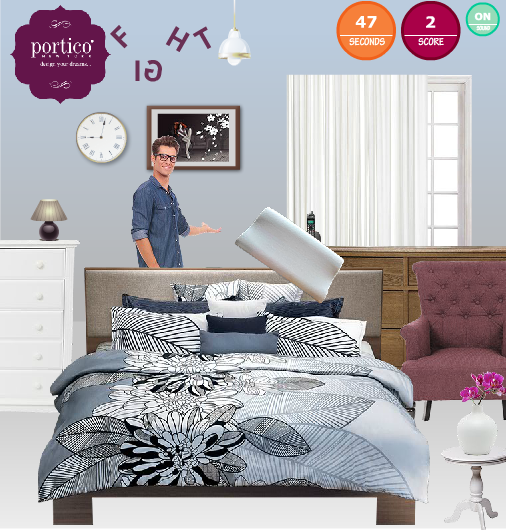 To promote its new youth collection of contemporary and bold designs, Portico, one of India’s leading brands in the bed and bath furnishings category launched a virtual pillow fight on Facebook called ‘The Great Indian Pillow Fight’. Participants had to choose a friend from their friends list and fight with Portico’s virtual pillows to win points. Top 3 scorers won PS3, cameras and smartphones. On Twitter, it also asked users to tweet with #PillowFightDay while sharing who they wanted to have a pillow fight with. Read more about the campaign here. For the television premier of The Amazing Spiderman on Sony PIX, an integrated social media campaign was launched in three phases with a microsite at the center. While the microsite or the ‘Web of Amazing people’ established an emotional connect with the users by encouraging them to tag friends who they think are amazing, the channel managed to emphasize on the words ‘amazing’ and ‘web’ to resonate with the movie. During the telecast, Spidey codes were flashed at various intervals and users had to spot these to win a trip to the Los Angeles studio. Read more about the campaign here. 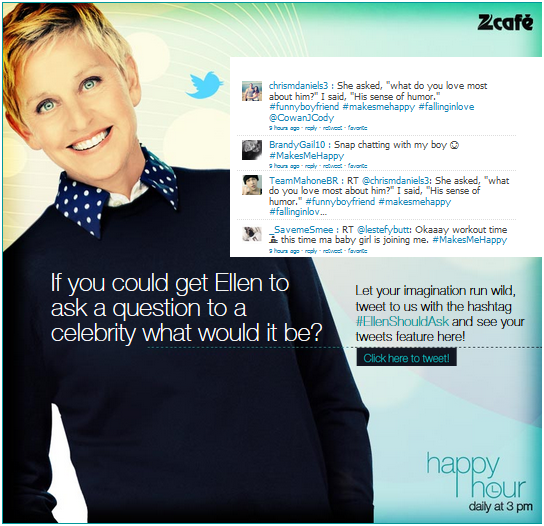 The latest season of The Ellen Degeneres show on Zee Café created quite a stir on social media prior to going on air. Conceived around fun and happiness, the talk show recreated the happiness factor with the ‘Happy hour at 3′ social media campaign. Beginning with intriguing teasers, fans were eventually revealed that Happy Hour at 3 was actually about Ellen’s show. Hashtags like #EllenShouldAsk were created where fans could state which celebrity they would want Ellen to ask a question to, and these were captured on a Facebook app. Read more about the campaign here. 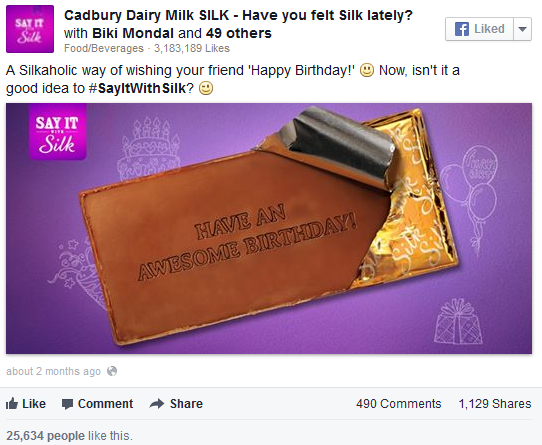 “Say it with Silk”, Cadbury Silk’s new proposition of a customised Silk bar where fans can select a message and have it etched on the bar for that special someone, saw an innovative launch on social media; the premium Cadbury chocolate brand created a #SilkMystery to unveil the new customisation. The etching machine was revealed by encouraging fans to guess its purpose using the hashtag. These tweets triggered one by one to reveal the machine on the brand’s Facebook cover page. Read more about the campaign here. To connect with the youth, Sprite, the lemon flavoured aerated beverage from Coca Cola had launched ‘Teen till I die’ where teens from across the country could showcase their talent on a common digital platform, garner votes through social media channels and win big. 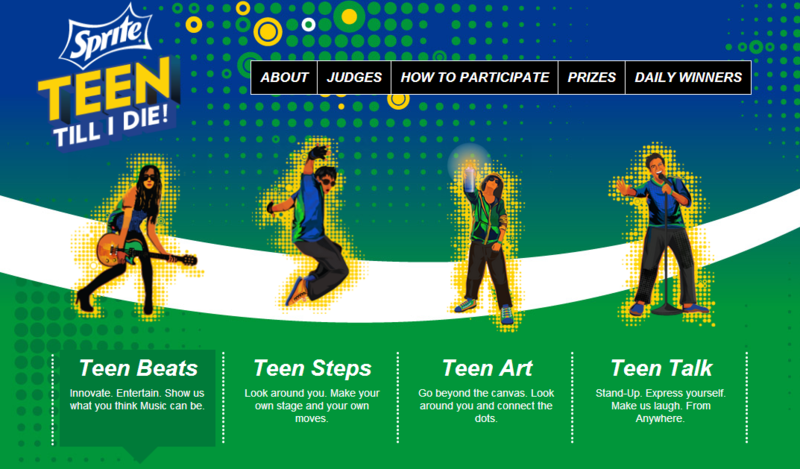 Categorized under music, dance, art and comedy, the talent contest invited teenagers to upload their unique creative versions in any of the categories and get judged by the experts on the centralised website. The campaign managed to bridge the online-offline divide. Read more about the campaign here. eBay India, one of India’s leading ecommerce marketplace, had launched a Google Chrome extension called ‘eBay Check’ that enables a consumer to do smart online shopping. To create buzz for the extension and get users to install it, the ecommerce brand leveraged social media, while giving away eBay vouchers to the installers. It also teamed up with an Indian blogger community for the ‘Future of Shopping’ blogging contest, where bloggers were asked to imagine shopping in the year 2030. Read more about the campaign here. 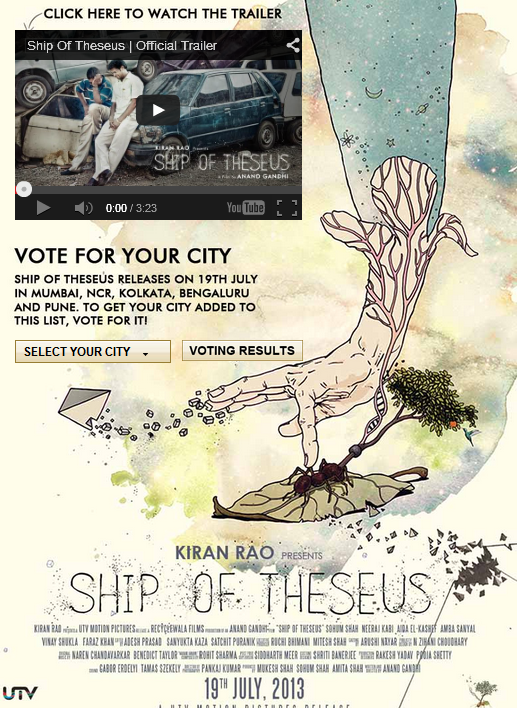 For a philosophical movie like Ship of Theseus with no big stars, the strategy on social was to play on its strong content and share the numerous appreciation the movie had received at film festivals. The idea was to engage and target the right audience through social media as it was not a movie for the masses. A ‘Vote for your city’ Facebook app allowed people from any city to vote online to get the film released in their city; this received a welcome response and the film released in 37 cities as opposed to the earlier planned 9. Apart from social media, it also employed film clubs, groups and discussion forums on the web to further promote the movie in their networks. Read more about the campaign here. For a product that will ony be launched across the country in 2014, Café Cuba – the country’s very first coffee flavoured carbonated beverage from Parle Agro, has managed to create waves on social media with its interesting activities on Facebook, Twitter and YouTube. The beverage was introduced by a friendly guy from Cuba called ‘The Cuba Guy’ who, interestingly speaks in Cuban inspired English on the social networks. 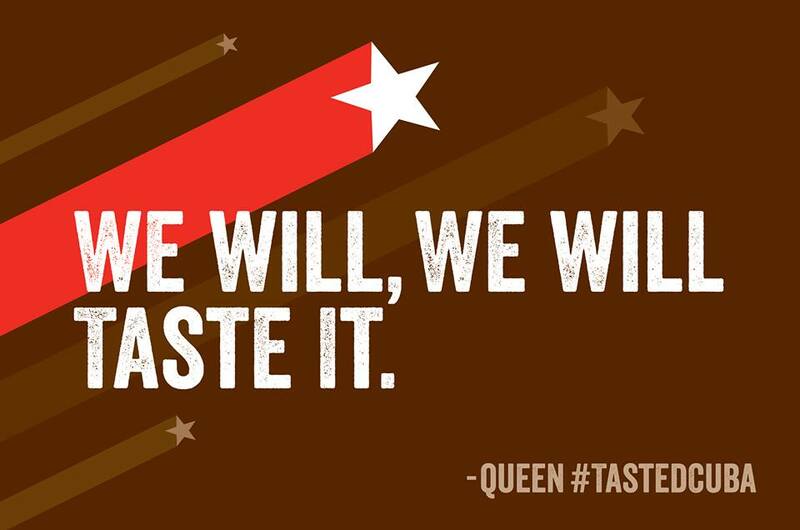 With #TastedCuba, consumers are being prepared for the revolutionary new drink. Read more about the campaign here. In celebration of World Coffee Week, Bru – the coffee brand from the house of Hindustan Unilever Limited, launched an endearing social media campaign called ‘BRUPortraits’, where fans could send in their memorable pictures while Bru would add a hue of coffee to them. 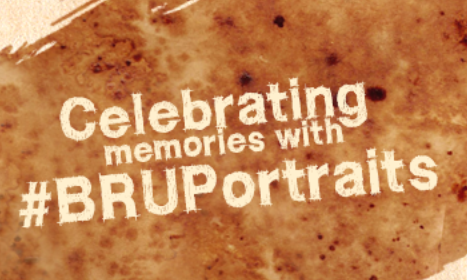 The online community needed to upload their favourite pictures using the hashtag #BRUPortraits on Twitter or Facebook, and recieve the portrait with a personalised message. Read more about the campaign here. 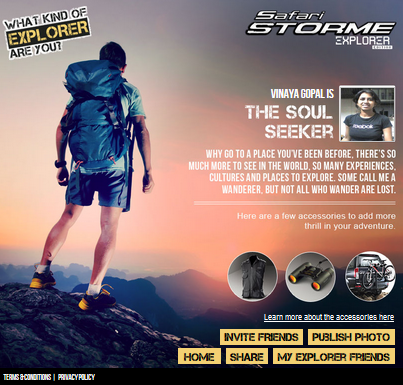 The recently launched Safari Storme Explorer Edition from Tata Motors ran a number of activities to involve online consumers around the ‘explorer’ aspect of the SUV. A blogging contest called ‘I am Explorer’ invited bloggers to imagine a brave journey into an unknown land, while Twitter was employed for a treasure hunt. Participants had to answer with the help of clues using the hashtag #StormeExplorer. A Facebook app enabled fans to find their explorer personality. Read more about the campaign here. SET Max went all out for the TV premiere promotions of the year’s biggest romance film ‘Aashiqui 2’ on social media. Fans could upload their pictures with their partners on a Facebook app called ‘Aashiqui 2 Moments’ to see them displayed on the TV screen at the time of the premiere, while another app called ‘Aashiqui 2 Love meter’ enabled fans to calculate their love quotient. To futher boost viewership, the channel encouraged participants to answer live questions using #Aashiqui2onMax. Read more about the campaign here. For the sixth instalment in the X-Men film series ‘The Wolverine’, Fox Star India Studios created an interesting themed social media campaign with exclusive Wolverine goodies for the fans. A microsite captured the Twitter fight between Wolverine and his enemies. Users could help The Wolverine fight his multiple enemies with their tweets having the hashtag #IAmTheWolverine. The ultimate winner went on to become The Wolverine and take home his claw. Read more about the campaign here. For the celebrations of International Beer Day, Kingfisher, India’s Premium Beer brand launched #DearBeerGod – a campaign that enabled Twitter users pray to the Beer God for their city to win free Kingfisher Beer. The city with the maximum number of tweets as prayers won the Kingfisher Beer valued on how much the virtual mug got filled. A Twitter enabled microsite captured #DearBeerGod tweets where each tweet equated to 10 ml of virtual beer in the mug. Read more about the campaign here. For the launch of its mythological epic series Mahabharat, Star Plus launched a series of creative promotions on social media prior to the show going on air. The channel hosted a Twitter chat with Devdutt Pattanaik, the renowned mythologist and creative consultant for the show, in addition to creating conversations around the hashtag #Mahabharat and #AajKaMahabharat. A YouTube masthead hosted a simple game where one could choose an arrow and fire it at the opponent. Read more about the campaign here. Phew! While this list has been curated from the social media campaigns that we had reviewed in the third quarter, there may be other worthy campaigns that we might have missed. In case, you are aware of such social media campaigns that deserve a mention here, then do share them with us in the comments. So, which is your favorite campaign from this list, tell us?